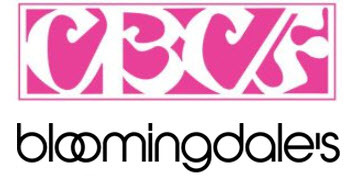 SHORT HILLS, NJ – The Cure Breast Cancer Foundation, Inc. (CBCF) is teaming up withBloomingdale’s in the Mall at Short Hills in Short Hills, NJ for a weekend of shopping that will benefit breast cancer research efforts. Bloomingdale’s will donate 10% of all sales from Friday, June 6th to Sunday, June 8th when participants mention the event at check out. To register for the event, please visithttp://www.curebreastcancerfoundation.org. A $25 donation to CBCF is suggested. The Cure Breast Cancer Foundation (CBCF) is a Clifton, N.J. – based not-for-profit 501(c) (3) charity devoted to fund research on the growth and spreading of breast cancer cells, also known as the Self-Seeding Theory, at the Memorial Sloan-Kettering Cancer Center in Manhattan and other national and international cancer research facilities under the direction of Dr. Larry Norton, who serves as the Foundation’s Scientific Advisor. The founder and president is Carly Abramson. Her father, Andrew Abramson, is Treasurer. For more information, call (973) 471-CBCF (2223), e-mail mailto:info@curebreastcancerfoundation.org or visithttp://www.curebreastcancerfoundation.org. This Earth Day, Check out the Newark Conservancy!